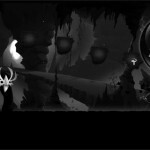 On the hunt for a new endless adventure game for iOS? Consider Darklings, a recent addition to the App Store that offers iDevice users an “endless adventure through magical worlds.” The application can be downloaded for just $0.99 (for a limited time only), and is optimized for the iPhone, iPad, and iPod touch. 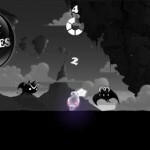 Darklings is an endless survival game you fight through magical worlds where there is a battle between light and dark. 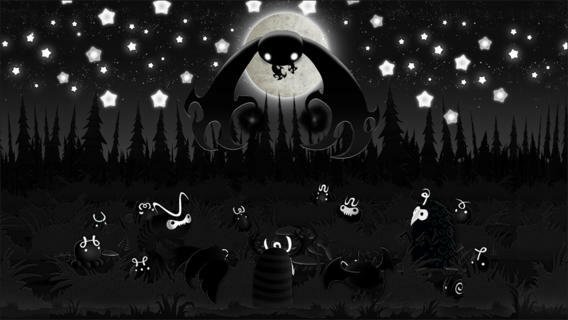 Darklings stole all the stars from the world which is an essence of light and brought Darkness. 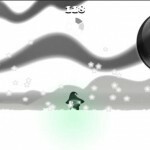 Our avatar which is a face of light, “Lum”, tries to save the world by purging the darklings and retrieve the stars. Play as the face of light, Lum, only piece of hope left on the universe, and purge all the Darklings to their pits, and begin to save the world! 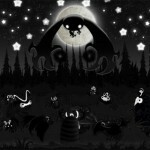 Indeed, Darklings features an impressive “noir artistic style,” and as such it’s not your usual run-of-the-mill iOS game. As you can see in the above and below images, the game’s artwork looks great, and we image it’ll look even better on Apple’s Retina display-equipped iDevices (which Darklings is optimized for). 3 difference families with whole different styles. 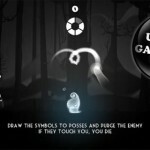 You can also customize the application’s main character, Lum, and more than 10 different options are available, including “Monk, “Crow,” “Wizard,” and “Wrestler.” Finally, Darklings also includes an impressive soundtrack, support for Game Center, and iCloud-powered game saves. For the best possible experience, MildMania recommends gamers use an iPhone 5 or above, iPad 2 or above, iPad mini or above, or a fifth-generation iPod touch. As mentioned, Darklings can be downloaded in the App Store for $0.99 (a Black Friday sale price lasting for just two weeks), and is optimized for the iPhone, iPad, and iPod touch. Later today, we’ll be taking a closer look Darklings in a dedicated review, so be sure to check back in order to receive our verdict on the application. See also:Find Your Personal Style In Toca Hair Salon Me,Developers Are Still Making The Most Money In The App Store, andPopular 2-D Point-And-Click Game The Inner World Launches For iOS.